“Creating a high-quality product is what’s made our company successful throughout its 165 year history. We combine product innovation with traditional hand-crafted manufacturing methods that have stood the test of time. Our all-American-made knives come to you with an edge that delivers the sharpest cut time after time. I received my first R. Murphy Knife, a rounded cheese and herb cutter, as a gift this year. The quality is incredible, and I’m so excited to be able to share this American craft company with you. Carbon steel knives need to be washed and then dried right after use. Like any high-quality knife, they should never go in the dishwasher. 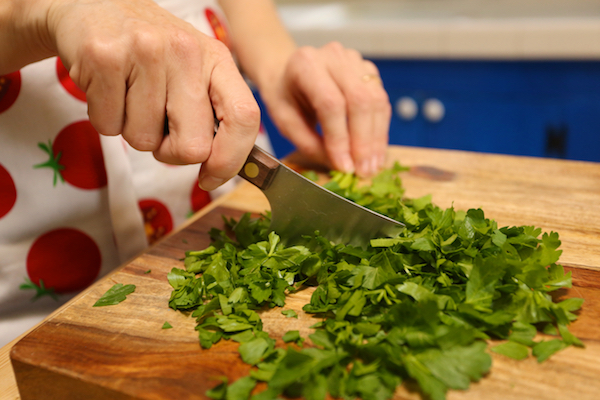 Cared for properly, they will hold their edge longer than stainless steel knives. 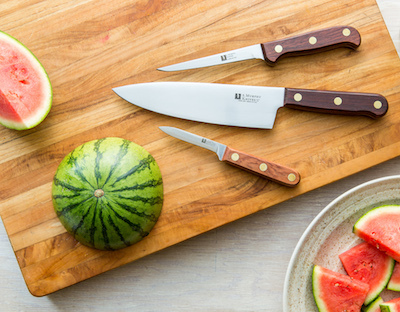 You can request knives with handles made from reclaimed wood; how cool is that? Online at R. Murphy Knives. 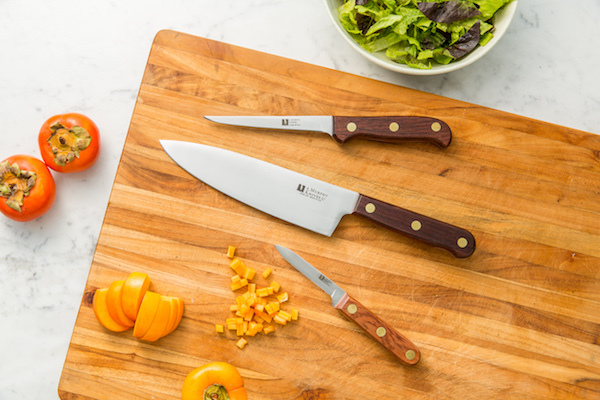 Required FTC disclosure: R. Murphy Knives is providing one set of chefs knives for the giveaway. I was not paid to write this post.